Carton Sealer Machines are being extensively used in various applications such as, medical equipment carton sealing, food and beverage carton packaging, personal care products packaging, logistics and transportation and various other practices. The incredible boost in manufacturing sector is directly boosting the growth of carton sealer machines market sturdily. These carton sealing machines can be used for heavy duty sealing of textile, food, chemical, cosmetics and pharmaceutical products. The increasing purchasing power of manufacturers as well as of average customers along with growing manufacturing capabilities requiring product transportation is expected to drive the carton sealer machines market over the forecast period. Global carton sealer machine market is observing vibrant growth on the back of rising industrialization and thus growing demand for efficient packaging in the market. Advancements in packaging industry in the past decade and increasing technological explorations is projected to drive the carton sealer machine market besides the wide range of functions of carton sealer machine in shielding of consumer goods or products, proper banding of packages, and more during the forecast period. 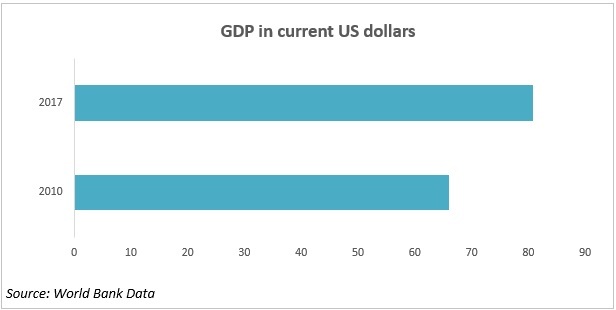 According to World Bank data, GDP in current US dollars has increased from USD 65.966 Trillion in 2010 to USD 80.738 Trillion in 2017 which is anticipated to drive the market for carton sealer machine market on the back of increased consumer obtaining capacity and rising demand for quality goods across the consumer population. Carton sealer machine market is anticipated to record a moderate CAGR of 4.3% over the forecast period. Many multi-national companies are concentrating towards new product advances in carton sealer machine. Moreover, the many advantageous properties of carton sealer machine are exploited in the field of various industrial as well as commercial manufacturing.On the basis of regional platform, global Carton Sealer Machine market is segmented into five major regions including North America, Europe, Asia Pacific, Latin America and Middle East & Africa region. With a developed industrial sector and high import and export of various end-user products across the region, North America is panned to observe substantial growth in carton sealer machine market on account of rising carton sealer machine usage for packaging of bulk products. Asia Pacific is predicted to follow North America in terms of consumption due to expanding carton sealer machine requirements in pharmaceutical, personal care, food and beverage, paints and lubricants and various other industries. Rapid industrialization with increasing economic development across the developing regions around the globe is directly anticipated to impact the carton sealer machines market during the forecast period. The evolution of technologically advanced carton sealer machines providing energy efficiency with cost efficacy is estimated to contribute significantly in the carton sealer machines market expansion. The requirement for carton sealing machines is demanded by manufacturers, suppliers as well as exporters that keep the demand for these machines steady. As per World Trade Statistical review, the global import and export activities have been increasing since the past decade which is expected to drive the carton sealer machines market robustly over the forecast period. Newer technological advancements incorporating zero downtime and minimal energy consumption by the machines are attributed in positive growth of carton sealer machines market during the forecast period. 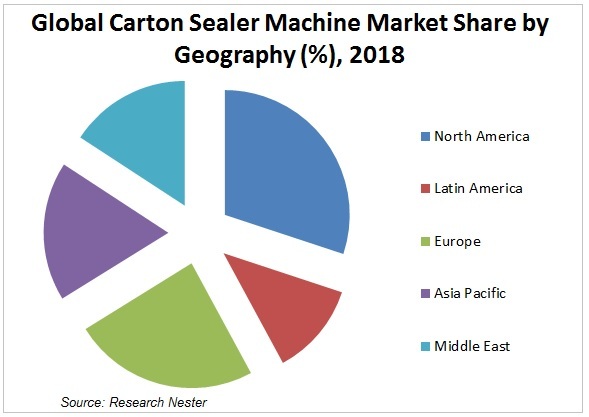 The rising disposable income and increasing product sales from online retailer’s is further expected to drive the carton sealers market across the globe. Moreover, expanding dairy, food and beverage industry on account of increasing global population is expected to surge the pressure on packaged food and beverages market that is predicted to impact the carton sealer machines market positively. The rise in personal disposable income is estimated to result in rise in per capita income of individuals as well as industrial manufacturers and retailers which is expected to increase demand for clean, non-defective and quality products that will contribute significantly in the growth of the carton sealer machines market in the economically developing regions of the world. However, cost constraints associated with initial machine set-up along with the hindrance offered by various government regulation is expected to propel the carton sealer machines market. Furthermore, variation in available raw material quality is anticipated to showcase a negative influence on the carton sealer machines market over the forecast period.